Alright so I don't use the term "magic" lightly. 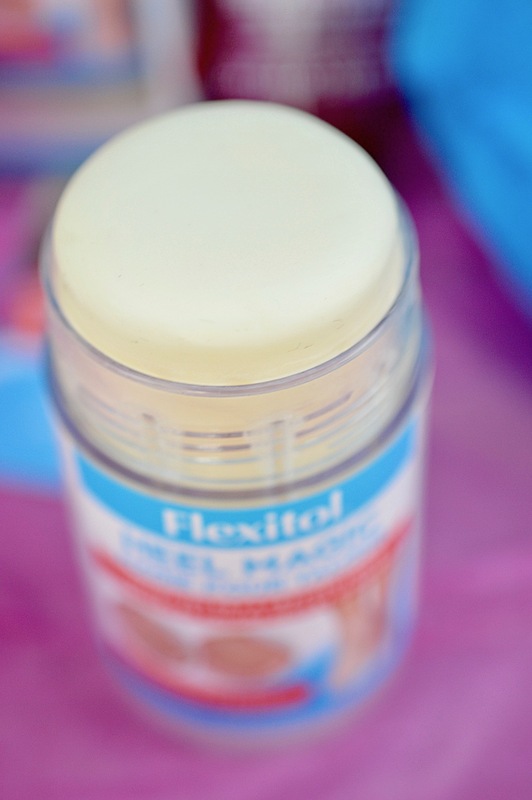 This balm from Flexitol is actually fantastic. It contains a unique blend of moisturizers including Urea, Shea Butter, Lanolin and Olive Oil in a highly concentrated, moisturizing base. Nothing feels better than a quick rub of Heel Magic on my feet right after a bath or shower, slipping on socks and heading to sleep. Flexitol makes incredible products for nails, feet, hands and body - be sure to check them out. Ah, the sheet mask. How popular these treatments have become, and for good reason! A targeted, moisturizing treatment will do wonders for skin, especially when you keep up with the routine. 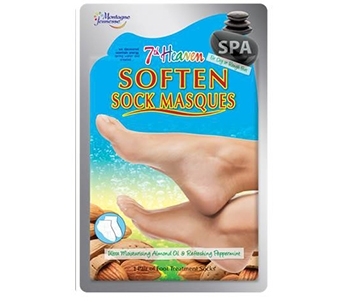 The 7th Heaven sock masques are perfect for a spa night and will repair tired, dry feet in the winter. Pick some up and use them as stocking stuffers during the holidays. 7th Heaven even has Soften Glove Masques for all of the aspiring hand models out there. I couldn't find them online, but these little toe separators work amazing for pedicures. I won't paint my nails without them since years of ballet have left my feet slightly warped. You don't need anything fancy, and these can be found at beauty supply stores. This isn't the most glamourous of products, but hey- it's very useful. Andmetics is a brand that provides convenient wax strips for targeted areas, like the tops of your tootsies. I wouldn't classify myself as a particularly hairless individual, so I'll take all the help I can get. 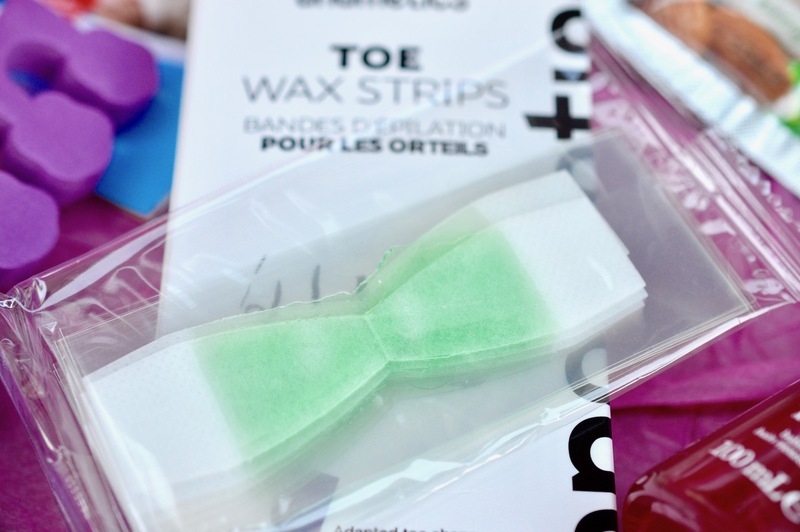 These strips are divine since you dont need to do any ridiculous rubbing to warm them up, and the wax is sticky and effective. Each strip comes apart into 4 pieces so you won't need to repurchase for a while. If you're looking for delicious smelling body wash at the drugstore, look no further than the I Love... brand. This raspberry and blackberry one smells like gummy candy, fun for teens or a bubble bath. I love… products are available exclusively in Canada at Shoppers Drug Mart. Wouldn't this be a fun gift idea for your girlfriends? Throw in a polish or two and you're good to go! The perfect treat for any pamper queen, and all of these products can be found at your local drugstore. Getting closer and closer to winter, I think taking care of your feet and make them look pretty is so important! Dry feet are such an issue in the winter.